3. Voyage through the "roads of the river" and get lost in Mother Nature! 4. Rent a bike and ride along the Sky Bicycle Trail for a special rate of 1,000 KRW for the tour customer! 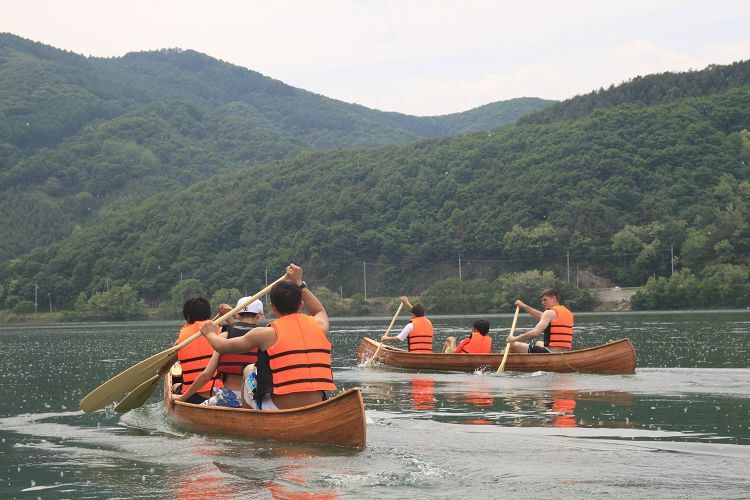 Experience to see the waterway along the lake for one hour on a canoe while self-paddling on Korea's beautiful lakes and rivers. 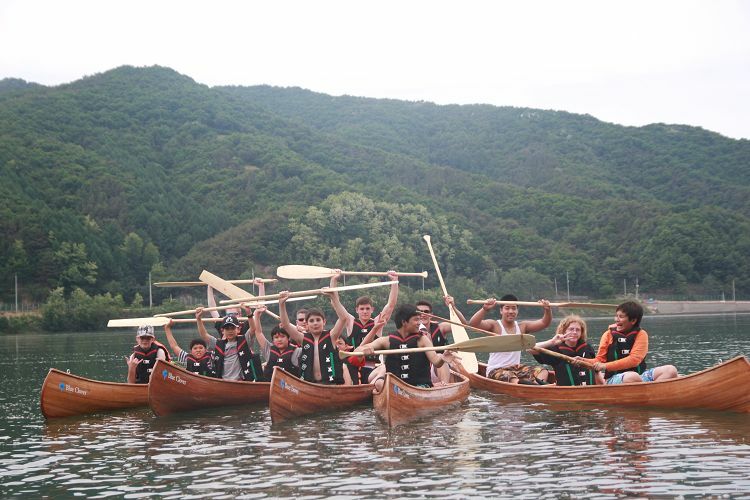 It is easy to sail a canoe by people of all ages, including the beginners that anyone can try! Chuncheon Songam Sports Town is a sports complex with various stadiums in it that you can try out various activities, such as cart racing, rock climbing, etc. Also, a bicycle trail is well paved that lots of visitors come to enjoy their leisure time. Try to capture beautiful Korean rivers and lakes surrounded by nature and enjoy the relaxing moment of your life! 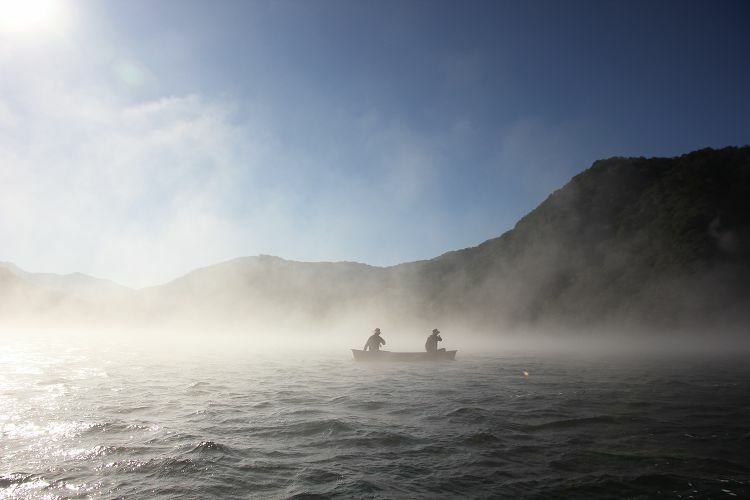 • Enjoy the beautiful scenery and tranquil environment of the lakes and rivers in Korea's pristine wilderness with "Mulle-Gil." • Strongly recommended tour for those who want to have a special experience with their family and ride canoe with their children. • Have yourself a peace on the quiet river! 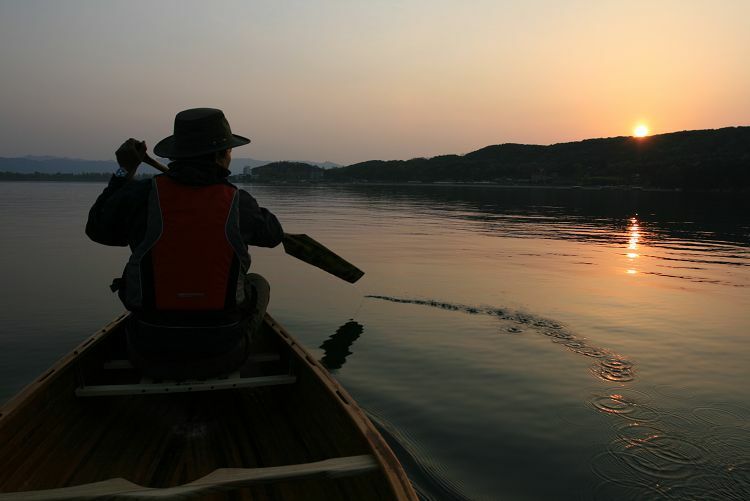 • A canoe tour is securely operated with simple pilot instructions and safety guides before use. • In summer, experiencing the tour in the morning or evening when the sun is not hot is highly recommended. 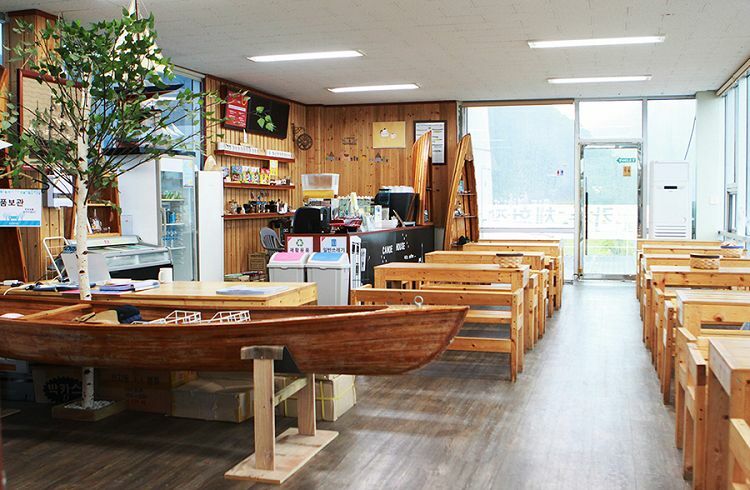 • Board games, free WiFi, charging a phone, and drinks are available at cafes at Chuncheon Mulle-gil. The basic two-seater sleek traditional Indian canoe will be given. Thanks to the safety checked design, the canoe does not tip over easily. 1. Purchase the desired product. 3. Arrive 15 minutes before the boarding time on the day of reservation and get an actual ticket. 1. The first and last time schedule may change depending on the season. 2. Please exchange a ticket before 15 mins because you must take the safety instruction. 3. 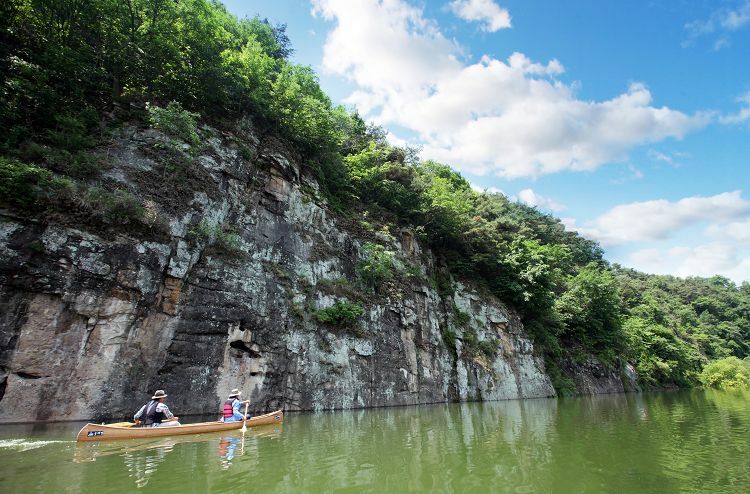 Safety and paddling Instruction takes place 10 minutes before the reservation time. 4. 100% refund or change of reservation is allowed when the reservation cannot be carried due to weather conditions. 5. Chuncheon Mulle-Gil Course may vary depending on the weather conditions of the day. 6. For foreign customers, a single passenger is not allowed for your own safety.